5 Ways to Make Brushing Fun! It may seem impossible, at times, to ensure that your children will comply with what you’ve taught them. One way to find some peace-of-mind is to develop ways to get them excited about the process, which will lead to them forming healthy habits for themselves. Making Brushing an Event – Your children should be brushing for two minutes per session at least two times a day. Your dentist suggests, then, to make it four minutes of fun. You can play music or have their favorite videos cued-up. The most important points are to be creative and have fun doing it. Create a Routine and Stick to It – Sometimes it may seem that children love for things to be chaotic, but they actually desire some form of regimen and consistency because it makes them feel secure. So make sure that no sessions are missed. This consistent behavior will soon lead to a fixed habit. Reward Good Brushing Habits – From time-to-time your little ones need to be rewarded for their compliance. You can give out stickers and have them place them on a reward chart after every successful session of brushing their teeth. After a certain amount has accumulated, you can give them a treat. Make Shopping for Oral Hygiene Products Fun – Another way to get your kids excited about their oral care is to involve them in the process of purchasing toothbrushes and toothpaste. Allow them to get products that have their favorite characters on them. Then, they’ll be more eager to participate in brushing their teeth on a regular basis. Make Up a Story – Children love good stories. So while they’re brushing, you could also use the moment as story time. Try making up a brief and creative story that lasts two minutes. It’s important to encourage your children to perform excellent oral hygiene because their minds are like sponges. Thus, any effort you take to make the process fun is an added plus. Those happy moments will become ingrained into your children’s psyche and they’ll always be able to reflect on them, which helps in habit-forming. 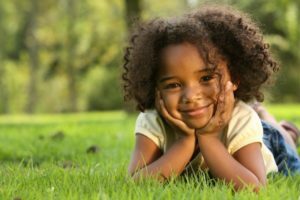 To learn more about techniques that you can use to improve the oral health of your children, reach out to your dentist to schedule an appointment. Dr. Mira Albert earned her dental degree from the University of Michigan and is a board-certified pediatric dentist and a Diplomate of the American Board of Pediatric Dentistry. Additionally, she is a Fellow and National Spokesperson of the American Academy of Pediatric Dentistry. Dr. Albert cares for children of all ages at Brush Pediatric Dentistry and can be reached for more information through her website.